I love the Tuscany series windows and sliding glass doors. They are so stylish and up to date. Tuscany series have been a favorite! 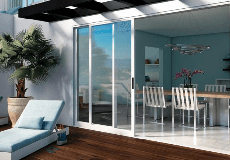 Which Patio door is coming soon? Which Milgard Patio Door did you order, David? We'd love to know which one and why you chose it. I love my Milgard slider is looks beautiful in my kitchen.